An activity for Y7 or 8 that would be useful for consolidation or revision. It summarises the key information that is essential for the topic followed by differentiated questions to allow students to apply their knowledge. 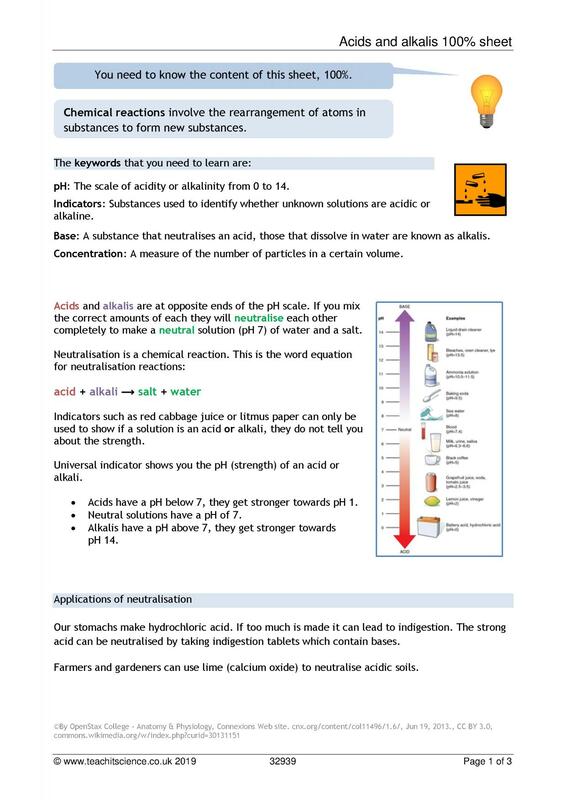 Click for more acids and alkali resources for KS3.